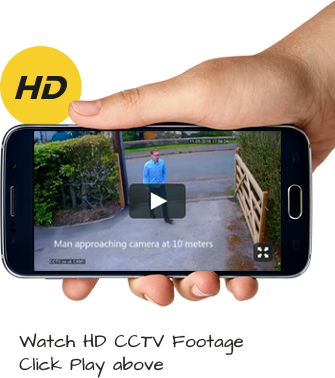 Can My Boss Watch Me on CCTV from Home? CCTV is a major part of our lives, no matter where you live or work. However, when we think about closed-circuit television cameras, we tend to think about them in specific situations. We might think of CCTV in shops or at our own properties, to protect goods and of course what is ours, too. But what about CCTV at work? Many people want to know ‘can my boss watch me on CCTV’ and also, can they do this from home? Employers can lawfully monitor their employees in assorted work-based scenarios. For example, cameras may be positioned over tills in shops and in secure areas where cash is counted. Employees handling stock may also be monitored in this manner. If an employer intends to watch their workers on CCTV, there must be valid reasons for doing so. They must also make it clear this will happen prior to the monitoring starting. An employer can monitor their CCTV cameras from anywhere, but they must adhere to data protection law in doing so. For instance, they must tell employees why they are using cameras, and think about whether there are alternatives that would bring the same results without that level of monitoring. If they installed cameras and started monitoring them from anywhere without letting employees know, they would almost certainly be breaking the law. Where could the cameras be placed? Private areas should never be monitored by cameras unless there is a very good reason for doing so. For example, locker rooms and toilets should not have CCTV cameras as these would infringe on the privacy of the employees. While many employees work in buildings that do have CCTV cameras present, there should always be firm reasons why they are there. There could be many reasons for this. For example, the boss may want to make sure employees are using their computers and other work equipment for work purposes only. In every case, the employer must use the cameras only in connection with business reasons. For example, they might use it to protect the business from losses relating to crime. As you can see, while being monitored at work may not feel that pleasant, the employer can legally do this if it is done within the scope of the law. If this is not the case, employees have a right to find out more.